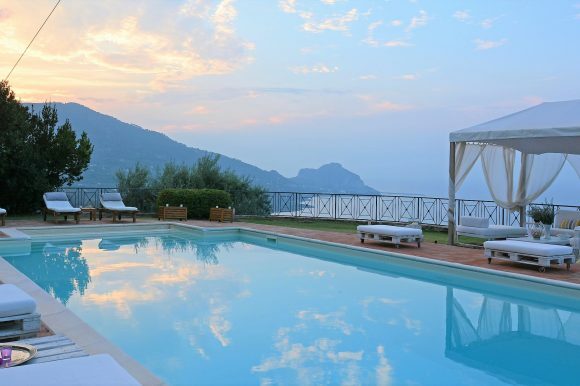 October half term break, a week in a villa in Cefalu, north Sicily is hard to beat. For the last three years, my family and I have enjoyed not just the sand, sea and sunshine in Cefalu, but a variety of truly memorable and authentic Sicilian experiences that we love to reminisce about. 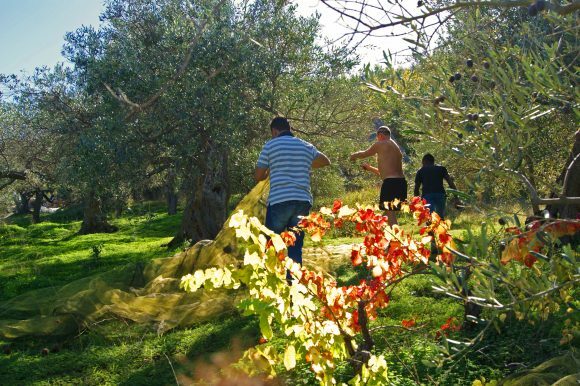 Fishing for cuttlefish and taking part in the olive harvest at Villa Rita are just two of our favourites. This time it was our morning with Nino Quartana, the chef and artist, that was the highlight. 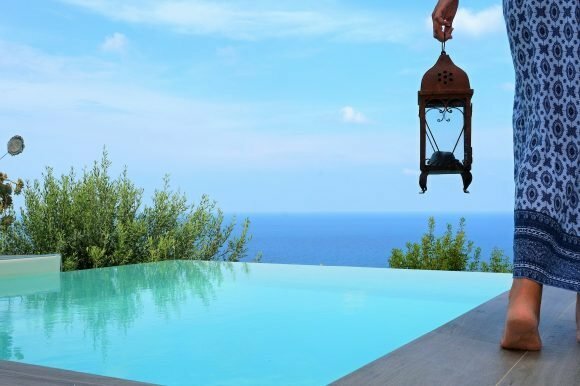 Nino lives in a modern house in the hills just above Cefalu, surrounded by the most incredible garden where he grows many of the ingredients he uses for cooking. Having worked as a chef in Asia, Nino has an original approach to growing and cooking his herbs, fruit and vegetables. Leading us around his garden, filling his basket with carefully chosen fresh herbs, Nino explained how he uses each one in different recipes, giving us useful tips – we started taking notes. He encouraged us to pick, taste and smell the herbs. We also learned about the therapeutic and medicinal properties of each one, such as how we can clean our teeth with sage leaves. We headed to Nino’s kitchen to prepare our feast. To start off, Nino gave us a deliciously quick snack by painting fresh mozzarella balls with turmeric infused olive oil, then decorated them with sweet smelling, edible rosemary flowers, pomegranate and apple. We then learned how to make a simple focaccia topped with an exquisite combination of herbs from the garden, followed by sweet biscuits made with carob and sesame seeds. Dining together with Nino and friends overlooking the garden, we made a promise to ourselves to return to Cefalu next year. Massimo’s team can arrange for Nino to come to your villa as a private chef and cook a wonderful meal for your group. You can choose to learn to cook with Nino or just sit back and enjoy the meal. Either way, it is sure to be a memorable experience.